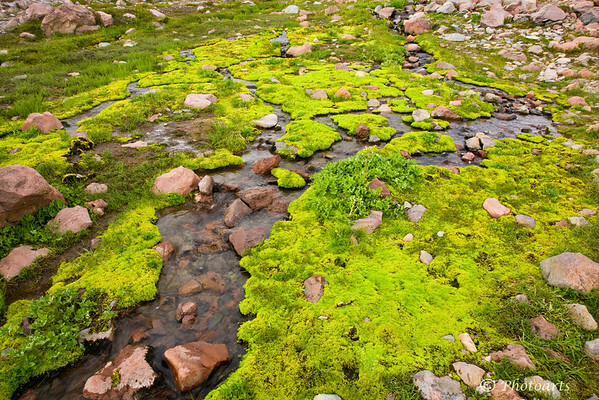 Moss and high altitude vegetation in iridescent green is carved by melting snow water in Mt. Rainier National Park. Love all this vivid green! Beautiful. There's an abstract aspect to the composition that is pleasing.